UPDATE FEBRUARY 17 5:25PM — Lake County authorities have taken the suspect into custody. Chicago and suburban police investigators late Monday identified a suspect in the armed robberies of two Wrigleyville and Boystown-area Subway restaurants as the man’s week-long crime spree continued to escalate. CWB is withholding the 26-year-old north suburban man’s name. While police issued an alert about the robberies to Lake View businesses late Sunday, the department began giving the case its full attention Monday evening after the suspect allegedly stole a car from a Lake View Walgreens parking lot, then immediately drove to Lincoln Park where he is said to have brandished a knife during a tanning salon robbery. According to police, the key was left in a 2007 Audi while its owner ran into the Walgreens near Irving Park and Sheridan around 4PM yesterday. You know what happened next. Within 30 minutes, an employee of the Ultimate Exposure tanning salon at 2210 N. Clark reported being held at knifepoint during an attempted robbery. The offender fled in the stolen Audi. 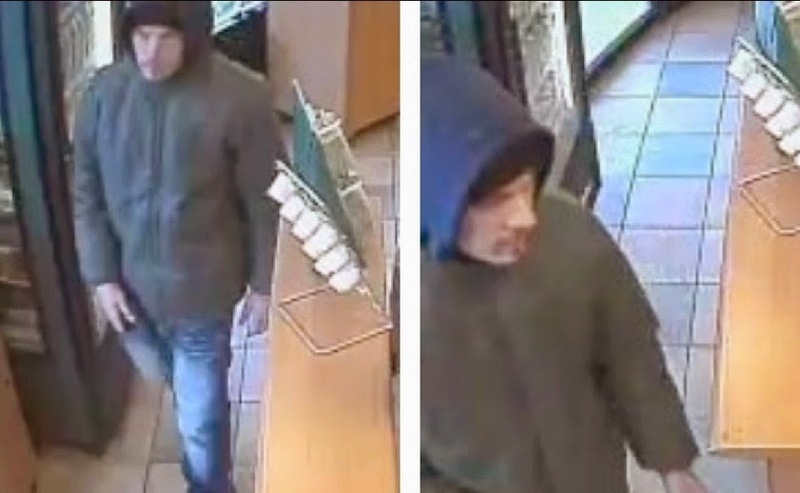 Now, Northbrook police believe the man is responsible for robbing a Subway restaurant at knifepoint in their north suburban community Sunday morning. Court records show that the suspect was charged with burglary and theft last month after allegedly stealing a woman’s car in the north suburbs. His bond had been set at $100,000. Previous arrest records show the man to be 6-feet tall and to weigh about 150 pounds. Mugshots and Facebook posts show that he has brown hair and usually has a few days’ growth of facial hair around his upper lip and chin.